Carpets make your home feel welcoming and cozy. But carpets also take a lot of abuse from day-to-day life. Here are five easy ways to keep your carpets clean. Look for vacuums with easy-to-empty canisters and strong suction. Go slow and steady to ensure the vacuum is getting up dirt. Hydrogen peroxide foams up when it contacts blood. This lifts the stain and allows you to dab it away. Laundry detergent cuts grease and allows you to blot messes away. Shaving cream also helps to lift stains. Let the shaving cream set for 30 minutes and then blot it away with a dry cloth. It’s important to remember to blot your carpet stains. Rubbing blemishes only spreads stain-causing liquids. Blotting uses a small amount of pressure to soak up the stain. 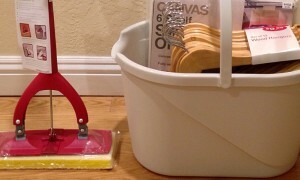 Organic cleaners remove messes without using harmful chemicals. This is especially important for homes with small children or pets. The residue left behind by dangerous cleaners can pose a threat to certain family members. Also, many organic cleaners don’t leave behind strong chemical odors. One of the keys to keeping a clean carpet is staying ahead of the mess. Hiring a maid for several hours each week is a simple — and labor-free — way to keep your home spotless. Also, professional cleaning services remember to clean the easily forgotten areas of your home that can become major mess magnets. 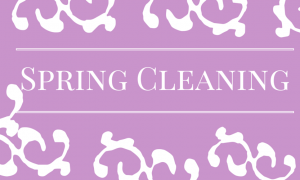 The early spring months are the best time to begin a deep clean of your carpets. You’ll be able to remove all the grime and dust that accumulates in the winter before the summer humidity arrives. Humidity traps moisture in your carpets and can cause mold and mildew growth. Get your home squeaky clean with these tips from HomeAdvisor.